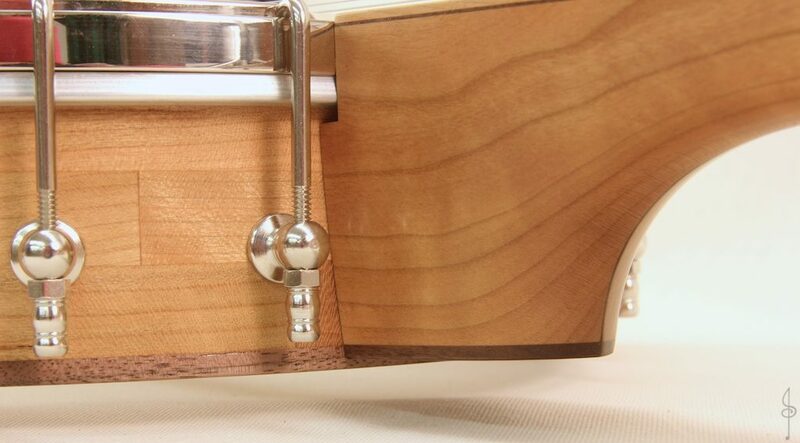 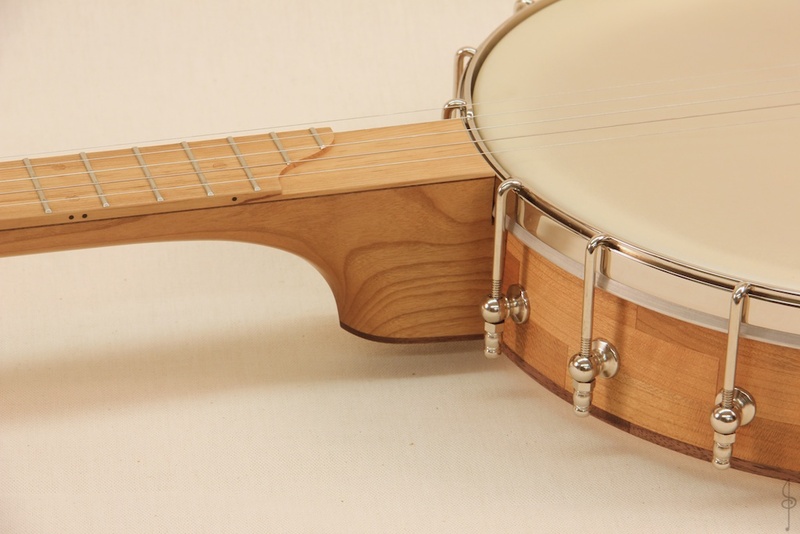 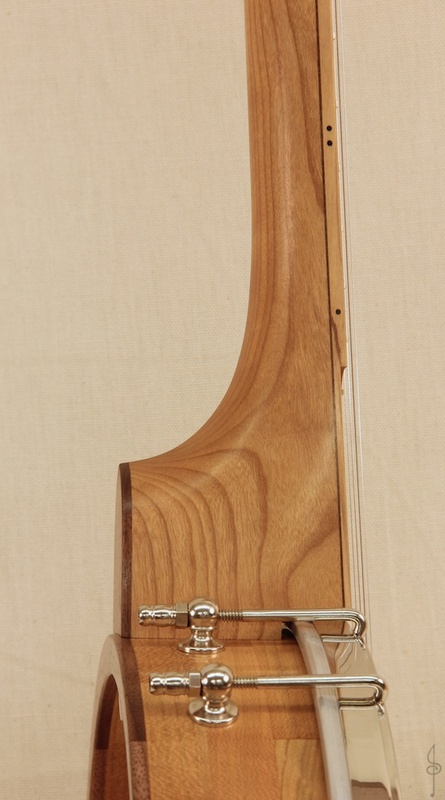 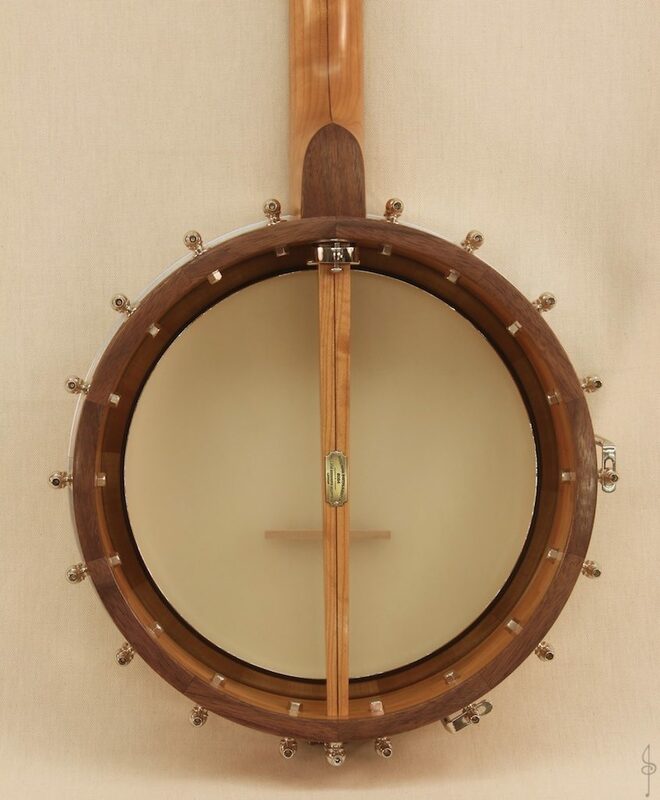 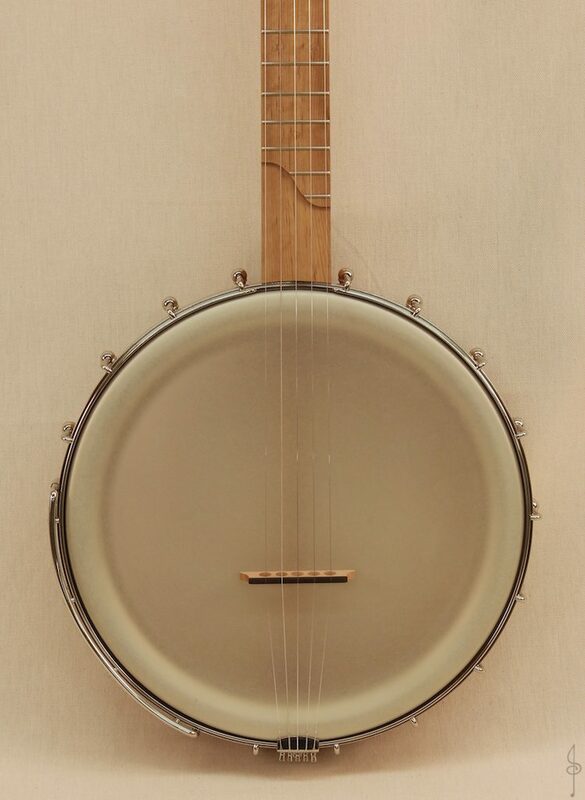 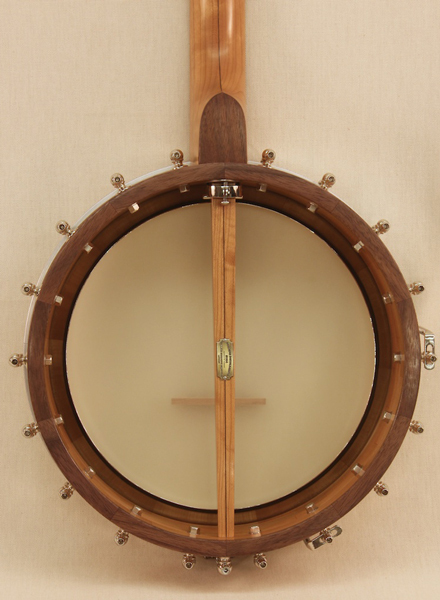 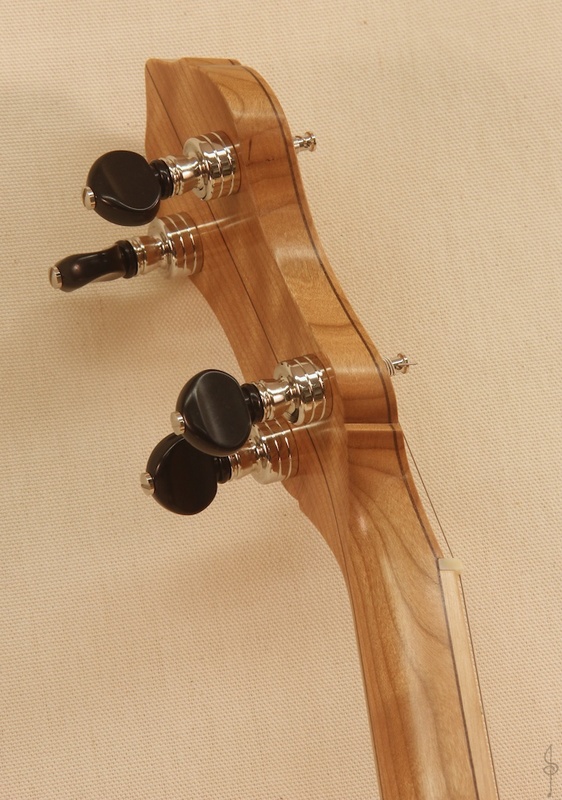 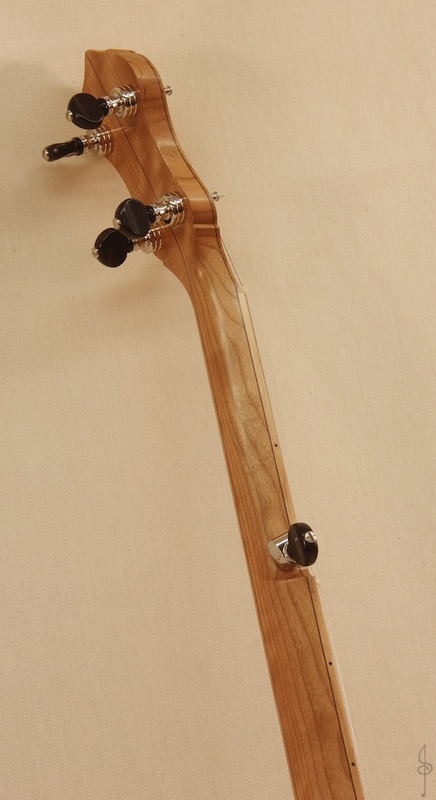 A simple but elegant banjo that features completely native Vermont Hardwood and a Vermont inlay in the peghead. 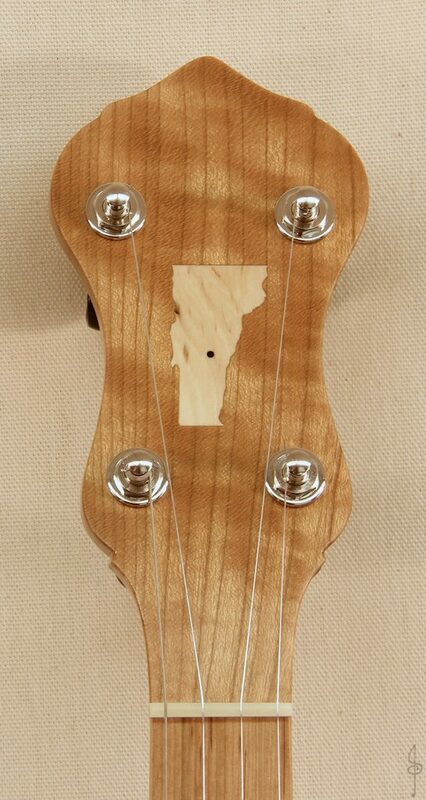 The owner of the banjo lives in the Gaysville,VT area so we added a dot to the state inlay. 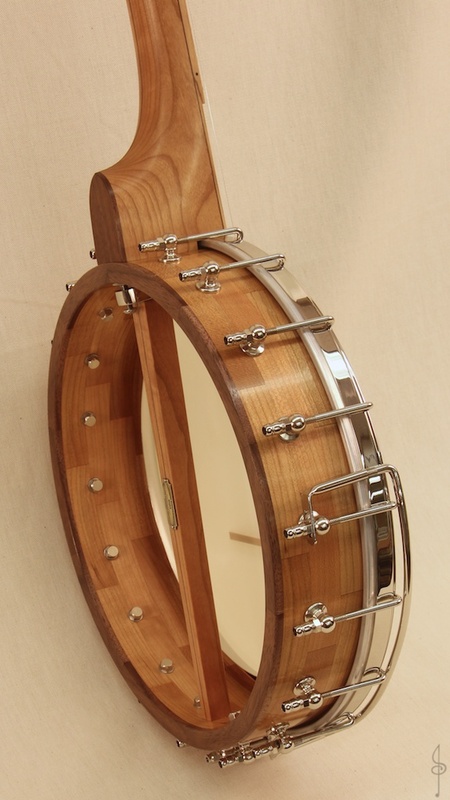 The 12 inch rim adds a really nice deep low end to the Dobson tone ring.